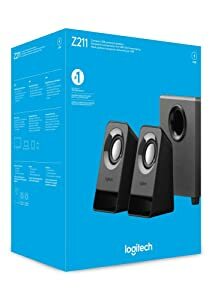 Connect the Logitech Z211 2.1 speaker system to any USB port for power including your laptop or USB power adapter. 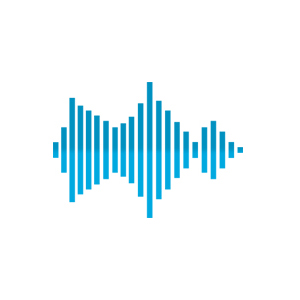 Connect to the headphone jack (3.5mm) on your smartphone, tablet or computer and enjoy full sound and enhanced bass in a small form factor. 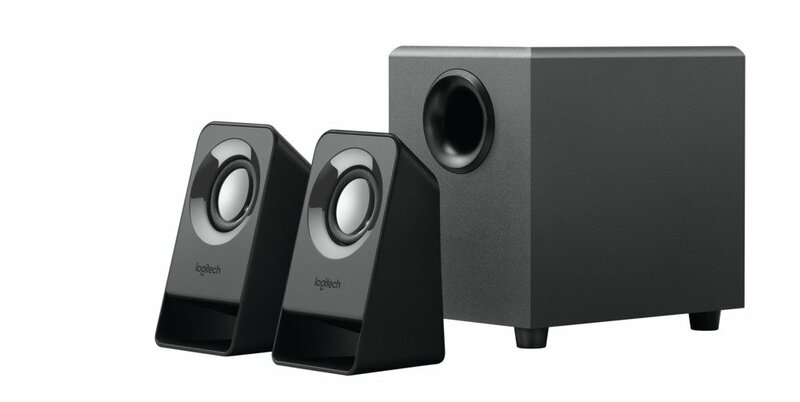 Easily control volume from your device and access the power button on the back of the subwoofer giving these compact USB powered speakers simple controls. Works with any device with a headphone jack (3.5mm) input including your television, computer, smartphone, tablet and music player. 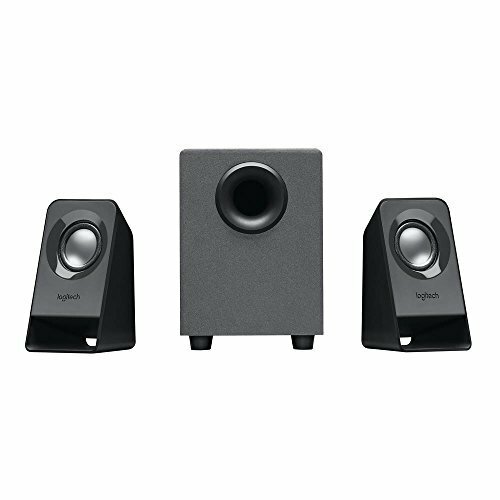 Logitech Z211 is a USB-powered 2.1 speaker system that's easy to setup and easy to use. 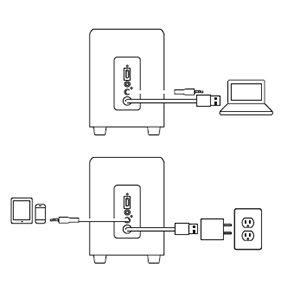 Connect to any USB port for power, including your laptop or USB power adapter. Then connect to the headphone jack (3.5 mm) to enjoy full sound and enhanced bass in a small form factor. The power button is accessible on the back of the subwoofer and you easily control volume from your device. Connect the easy to setup, easy to use Logitech Z211 2.1 speaker system to any USB port for power, including your laptop or USB power adapter. 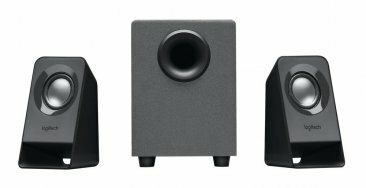 Connect to the headphone jack (3.5 mm) on your smartphone, tablet or computer, and enjoy full sound and enhanced bass in a small form factor. 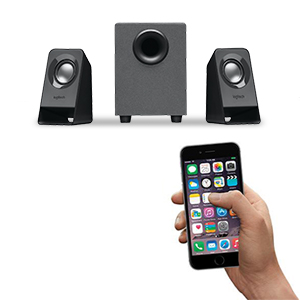 Easily control volume from your device and access the power button on the back of the subwoofer.